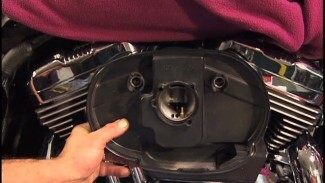 In this video, Tommy covers what is probably the most popular aftermarket air cleaner for Harley Davidson, the Kuryakyn Hypercharger. Kuryakyn has offered variations of their Kuryakyn Hypercharger air cleaner assembly for decades now. The reason for this air cleaner’s popularity is quite obvious. 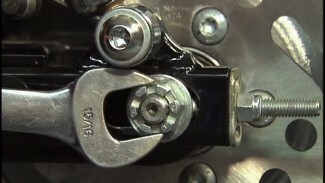 What’s cooler than seeing baffles swing open and closed when you whomp on your throttle!!?? It’s pretty cool to see. Another thing that is pretty cool is the fact that this air cleaner assembly is a relatively easy install. In fact, the entire installation should not take more than an hour; even if you are attempting the install for the first time and being malicious in your work. This version of the Kuryakyn Hypercharger no longer utilizes vacuum from the intake for its operation. This assembly has a module that simply plugs in-line with the coil plug and one ground wire to be secured. It is important to take the time to find a safe location for the module. It needs to be away from any excessive heat or moving parts. Use tie wraps, velcro, or double stick tape to hold in a desired position. Run the remaining module harness along the frame’s backbone and toward the area of the throttle body. The factory top support bracket is reused and the Kuryakyn head bolts are installed with teflon paste and torqued to spec. Next, the breather tubes are attached and the Kuryakyn Hypercharger support plate and backing plate are installed with the supplied gaskets. After torquing the support plate hardware to spec, the air filter element can be secured with two small button head screws. Lastly, the outer cover is secured and plugged into the module harness. It is important that the harness is routed & secured safely. This is really the only thing that Kuryakyn does not do for you. Everything else goes together effortlessly. 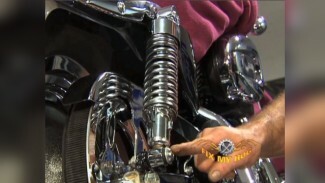 Check out this video before installing a Kuryakyn Hypercharger on your Harley Milwaukee Eight.